Branigan Robertson is a employment lawyer who takes cases on behalf of San Diego workers facing such issues as wrongful termination, sexual harassment and workplace discrimination. He takes these cases regardless of whether employees are facing off with a small business or a multi-national corporation. Mr. Robertson represents employees all throughout California — including San Diego. 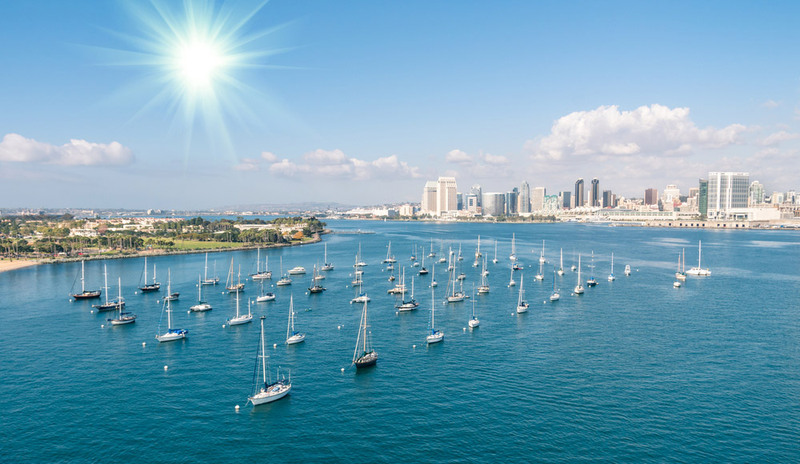 According to the Bureau of Labor Statistics, San Diego outpaces the rest of the country when it comes to employment in several fields including: business and finance, engineering, food preparation as well as the computer industry. Bureau statistics compiled in 2015 show the average mean wage for the San Diego-Carlsbad area was $26.06 — approximately 12 percent higher than the national average. This high percentage is a strong incentive for employment attorneys to take cases in the San Diego area as damages and attorney’s fees are often based on an employee’s wages. When Mr. Robertson takes a case, regardless of whether it’s in San Diego or any other area of California, he often tries to negotiate a pre-litigation settlement on the employee’s behalf. If possible, it’s always preferable to avoid a drawn out litigation battle. But sometimes the only way to force a bad guy’s hand is to take him to court, and Mr. Robertson doesn’t shy from an opportunity to take a client’s case before a judge. If a settlement can’t be reached, his office will take your case to trial. An employee who’s been wronged by a company should not try to handle the case on their own. A great attorney is vital to managing all the complex elements of an employment case. In addition to having an objective legal professional keeping tabs on the various aspects of your case, a lawyer automatically increases your case’s value. What does it mean when an employee is “wrongfully discharged?” After all, California is an at-will state — what rights do workers have when they get fired? Without getting too deep into legal terminology, wrongful termination means that an employer fired a worker for a reason that violates California’s public policy. Another way of looking at this is the employer violated specific rules outlined in California’s statutes, laws, constitutional provisions or case law. For instance, there are sections of the law that forbid an employer to fire an employee because of his or her gender, race, disability, or other factors. In the case of disabled employees, there are laws at both the state and federal level that require employers to provide reasonable accommodations. Such accommodations could include accessible bathrooms, and break rooms, as well as extended breaks for a person with limited mobility. Failure on the part of an employer to provide reasonable accommodation could result in a strong case for a disabled employee. If you suspect you have been unlawfully terminated, or discriminated against in the workplace, it is best to leave it to a skilled attorney to figure out the proper course of action. If you have questions, contact Mr. Robertson’s office for a free consultation. If accepted, your case will be handled on a contingency basis. Continue reading to learn more about the contingency process. Wrongfully terminated employees or employees who’ve experienced workplace discrimination should contact Mr. Robertson for a free consultation. An attorney-client relationship will not be formed until a signed fee agreement has been made. Wrongful termination and other employment cases are handled on a contingency basis. This means the client pays nothing out of pocket and the attorney is paid only when the case is concluded. The attorney is paid with proceeds from the settlement. Mr. Robertson regularly appears before judges in Orange County Superior Court, Los Angeles Superior Court, and San Diego Superior Court. He is also licensed to practice law in Federal Court. He is a member of the California Employment Lawyers Association. For more information on how he can help you in your employment case, contact Branigan Robertson’s office.